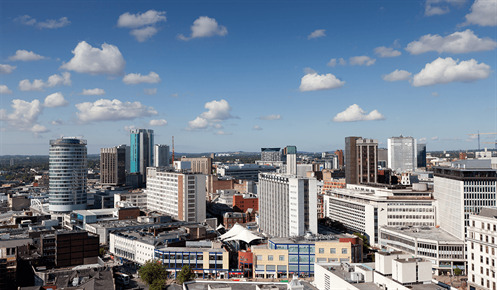 Bruntwood is a family-owned property company with over 40 years’ experience developing, letting and managing office space, serviced offices, retail space and virtual offices in the north of England and Birmingham. With over 145 properties, the company’s reputation is derived from a flexible and service-orientated business model, which provides affordable commercial properties and flexible contracts. The company is well known for its strong corporate social responsibility and donates 10% of all annual profits to arts, cultural and community charities. With the customer at the heart of all its activity, the priority for Bruntwood has always been to understand and address customer needs throughout their lifetime journey. Historically they have used Net Promoter Score (NPS) as a measure of customer engagement and loyalty, drawing response from a single question, “How likely is it that you would recommend Bruntwood to a friend or colleague?” with a rating on a scale of 0-10. The NPS survey had been carried out previously by email only, but low response rates achieved by this channel had limited Bruntwood’s ability to reach a large part of their customer base. Bruntwood approached TTMC Research with the intention of developing their customer experience strategy with a phone-based Net Promoter Score survey. Initially, Bruntwood had planned for a phone call, which would present the NPS question only. During initial discussions, however, TTMC Research highlighted the valuable opportunity for deeper customer insight provided by a two-way phone conversation. As a result, it was agreed that three questions would be asked during the call, which would follow an initial email to warm prospects. A basic script was set up, which asked the original NPS question but further qualified responses by asking why customers gave a particular rating. Additional feedback was then asked for on four key service areas. A final open question was asked, with the aim of capturing any general customer issues or negative comments, which would be immediately relayed back to Bruntwood. A target response rate of 80% was set to get the best return from the choice of channel and data was nurtured carefully with multiple call backs to ensure as many clients as possible were reached. Steps were also taken to ensure the call was completely aligned to Bruntwood’s customer-centric brand values. Calls were structured to have minimum impact on customer time and, it was explained during the introduction to the call that the conversation would be recorded for quality and training, and conducted in line with the MRS (Market Research Society) code of conduct. Of 1037 customers, 759 completed the survey, achieving a response rate of 73% against a target of 80%. Net Promoter Score had increased and valuable insight around Bruntwood’s service was captured during calling. There was a very small percentage of dissatisfied customers and, where poor scores were reported, callers drilled down gently to understand reasons for dissatisfaction, and escalated issues rapidly so they could be addressed. In addition, calls identified invalid numbers and inaccuracies within customer data which were updated with new names or numbers, or passed over for further investigation on a daily basis. The phone survey has given the property company an additional layer of valuable insight into key areas of their customer experience and satisfaction levels, over and above the simple NPS captured previous by email. In addition, the higher response rate has enabled the property company to reach a larger sample of their customer base. Bruntwood is extremely happy with the value they have derived from the phone survey and is now planning to repeat the campaign again next year. "We were really pleased to work with Kevin and the team at TTMC, they really helped us to focus our approach in the most effective way and prompted/challenged us where we needed it. The team was really flexible to our needs and we were given daily feedback on detractors to enable us to respond quickly to issues. We will be using them again next year."